Thunder Bird. This Limited Express train goes though Shiga on it's way from Toyama to Osaka. 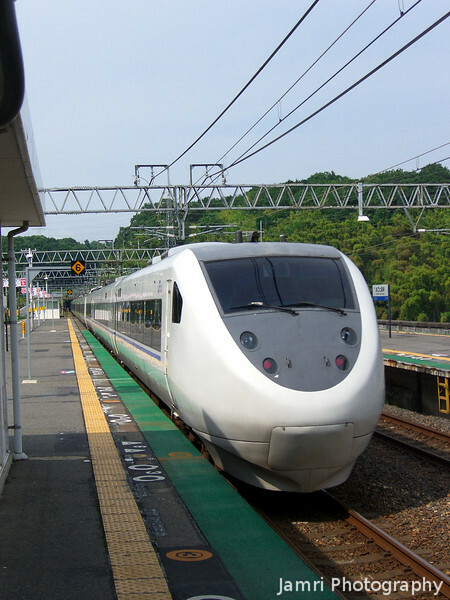 This is a regular train, not a Shinkansen, this train has a maximum speed of 160km/h (Wikipedia on 681 series) Shinkansen can go up to 300km/h.